Time flies….. I wait impatiently for the official release of the 1088XEL motherboard project by Mytekcontrols from AtariAge.com. Bugs and life seemed to have conspired to delay the early summer release date. 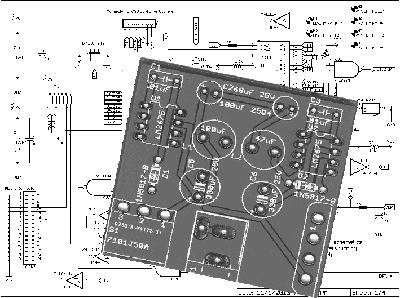 He has released the almost final schematic, but cautions that something may yet change after testing what he hopes is the final board version due in the next week or two from EasyEDA board house. That has delayed testing of some boards I have designed, as I want to be sure they will not only work, but work with his board. The SDriveXEL board I can test on my current Atari machines, but the XF551XEL and XF551SDriveXEL versions almost require the combined combinations of 1088XEL and the MicroATX case and power supply to fully test fit and function. I do what I can in the meantime. In the meantime I have been working on one of the few remaining weaknesses of the 1088XEL. And while a lot can be builtin on the 1088XEL motherboard, you’re always going to need a way to pop in that new/old stock cartridge that you just acquired from Ebay (or the dumpster 🙁 ). A standard miniITX/microATX case just wasn’t built with the need for an external Atari cartridge slot in mind. There’s literally no designed slot for an Atari cartridge. So you have to work with what is there. For awhile yet most tower cases in the mini-ITX and micro-ATX format still offer at least one 3 1/2″ and one 5 1/4″ external drive bays. Some have two external 5 1/4″ drive bays. Riches…… 🙂 So rather than expecting the Atarian to take a hack saw/Super Dremel cutter to the case to fashion a cartridge slot, I decided to see if I could fit a cartridge slot into the space of a 5 1/4″ drive bay. And then because sometimes the distance between the drive bay and the motherboard connection could be 12″ to 18″, I worked with tf_hh to deal with signal loss on that long a ribbon cable connection. After testing and finding what I think are all the flaws I’ve decided to release the product for sale. On the 1090XLR front, I am happy to report that Roland Scholz, who developed the prototype PCBridge some years ago has successfully developed the first internal expansion card for the 1090XLR project. The card is a combination dual serial/single parallel port I/O card. Both the 1090XLR and card are still in prototyping mode. tf_hh is also working on a version for the 1090XLR of his SysCheck device. Progress should go much quicker once both have returned from their much deserved vacations this month.